“Chirimen” is soft, fine crepe, which the Japanese have loved as kimono materials for 300 years since the Edo period. 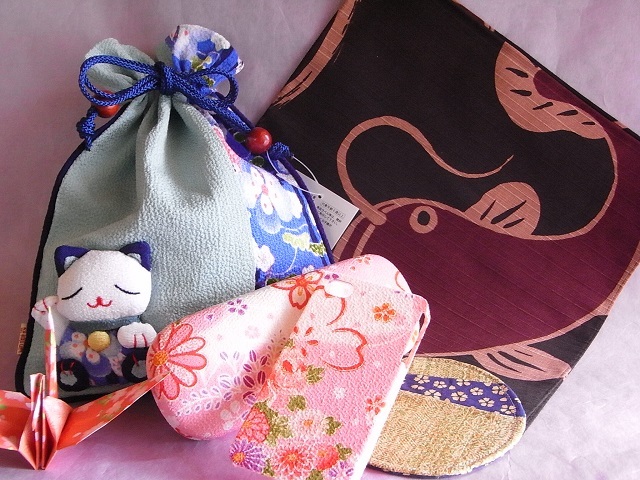 Chirimen sundries, which made of such crepe cloth, are traditional goods with history from the Edo period. 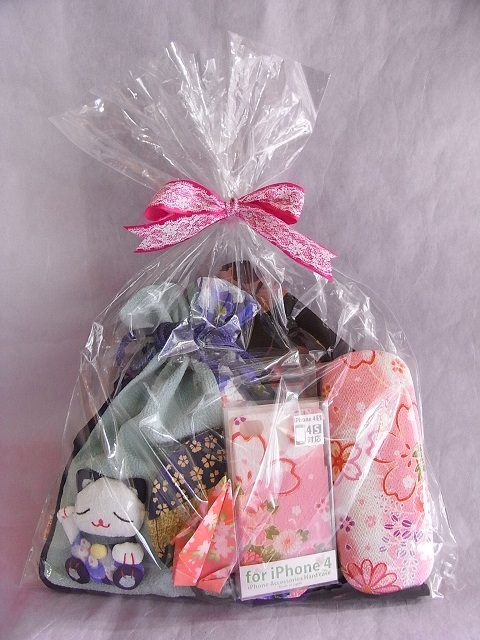 Please look at this cute set and others in our online store!